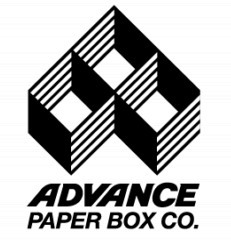 ADVANCE PAPER BOX COMPANY, a well-established and diversified west coast manufacture of high end folding cartons, is currently seeking qualified individuals to join our team. We specialize in printing and packaging for the cosmetic, entertainment, pharmaceutical, software and food industries. The ideal candidate for this position should be a motivated self-starter who is detail oriented and have previous QC experience working in a printing/folding carton plant. Under the supervision of the QA Manager, this person will spend at least 70% of their time in the manufacturing areas to ensure proper standards are achieved. Basic knowledge of various types of packaging (paper, board, and plastic) would be preferred. management, stability programs, equipment and building system qualification and validation, etc. · Identify opportunities for quality improvement. · Develop, implement, monitor and maintain a corrective action database. · Provide QA support, as needed. · Ability to communicate ideas and comprehend detailed instructions. · Written, verbal, problem solving skills. · Ability to multitask in a fast paced environment and handle multiple projects while remaining highly organized. · Ability to work independently and productively with little or no supervision. If you feel that you have these qualifications and you are a strong-minded person with the motivation to succeed then we encourage you to submit your resume. This is a full time position with a competitive salary and benefits package. E-mail responses only! Resumes must include salary history and salary requirements. This position provides management with the most efficient estimated production cost for each project. The successful candidate should be a motivated self-starter who is detail oriented and have a minimum of three years experience in a packaging or printing environment. Knowledge of various types of packaging (printing, paper, board and plastic) will be very helpful. · Accurately estimate jobs based on specifications submitted through our electronic RFQ system. · Work closely with vendors to obtain best possible pricing for material and buyouts. · Interface with department supervisors to ensure best pricing to customers based on layouts and press parameters. · 3+ years experience estimating in a printing environment. · Must have solid computer skills. · Excellent written, verbal, problem solving and decision making skills. · Detail oriented and accuracy is a must. · Excellent organizational skills and ability to prioritize tasks and workload in order to meet deadlines. If you feel that you have these qualifications and you’re a strong-minded person with the motivation to succeed then we encourage you to submit your resume.